We sat on pins and needles as “Sam” perused his 360° feedback report. Sam had joined our team as the general manager about a year earlier and it was a difficult year for all of us who reported to him. Our previous boss was someone who had established great rapport with everyone, invested time in building trust within the organization, and focused keenly on developing people. Sam, on the other hand, arrived like a bull in a china shop – questioning everything, micromanaging, withholding information, and treating people poorly. In one year he wreaked havoc on morale and created bottlenecks to progress that had been made within the organization. Now, here we were as a leadership team, participating in a 360° process to help all of us become better leaders. We all received our reports during the session (not an ideal way to administer 360° feedback, by the way) and were given time to read and reflect on the feedback. All eyes were on Sam though, as we all knew that his feedback would be rather harsh. He began by questioning the validity of the data and the assessment itself. He then began to shoot down specific items within the feedback as irrelevant, misleading, etc. Once he began reading the written comments, he then tried to figure out who said what. Fortunately the facilitator recognized how quickly the situation was deteriorating and he moved us quickly into one-on-one and small group discussions. How you react to feedback will determine how willing others are to provide honest feedback to you in the future. Creating an environment where feedback is shared regularly and is focused on changing behaviors will set a strong foundation for growth and improvement in your organization. This acronym, ASK FOR IT, provides tips for encouraging feedback. 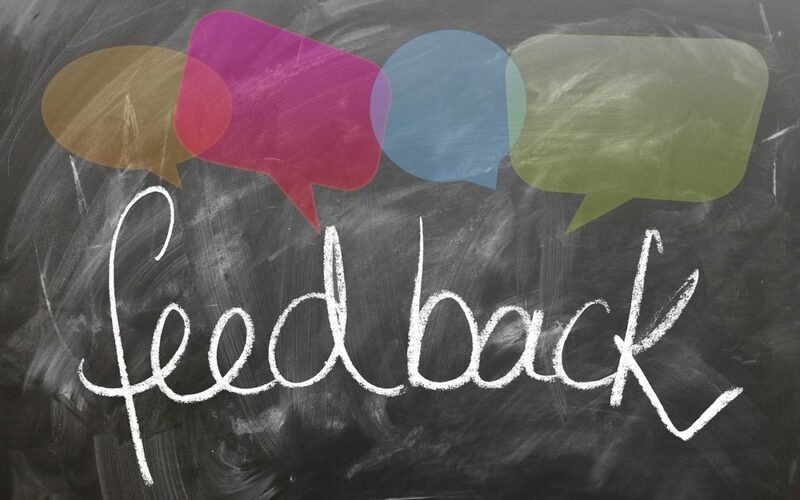 Tell us your experience with giving or receiving feedback. What tips can you offer? To get started on a successful 360 feedback process in your organization or to learn more about how to create a culture of effective feedback, contact Robyn at rmcleod@chatsworthconsulting.com. I have seen this movie before. Extremely destructive. Thanks Karin. It’s all too common, unfortunately.